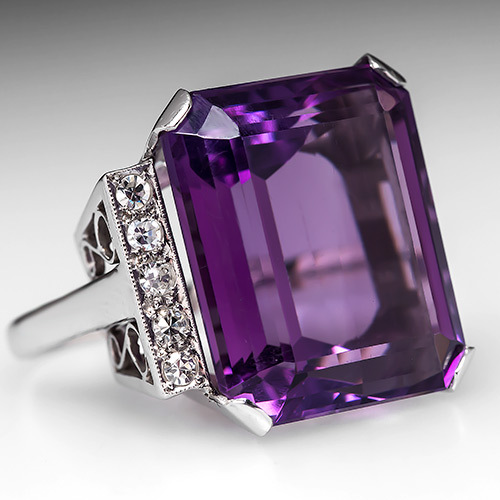 As with all quartz, amethyst finds its origins in the oozing liquid roiling at the center of the earth. Unlike other precious gemstones, quartz does not require a great amount of heat or pressure to form. In fact, it comes forth during the rising and cooling process of magma, when the resulting alluvial flows fill veins and gas cavities nearer to the surface of the earth. These highly pressurized hydrothermal solutions consist mostly of extremely hot water mixed with sulfides, silica, and other minerals. Anytime silica combines with oxygen, silicon dioxide forms. The abundance of both silica and oxygen in these hydrothermal solutions explains why quartz is so abundant in the earth and why it is found in all types of rocks. When the siliceous brews includes uranium, the resulting purple crystals are what geologists call amethyst. In its soluble form, silicon dioxide either flows swiftly into a cavity or drips slowly layer upon layer atop itself. If the flow of this aqueous liquid surges into cavities or veins, the quartz hardens and form as druse. Amethyst is most often found in geodes or veins in this druse form. 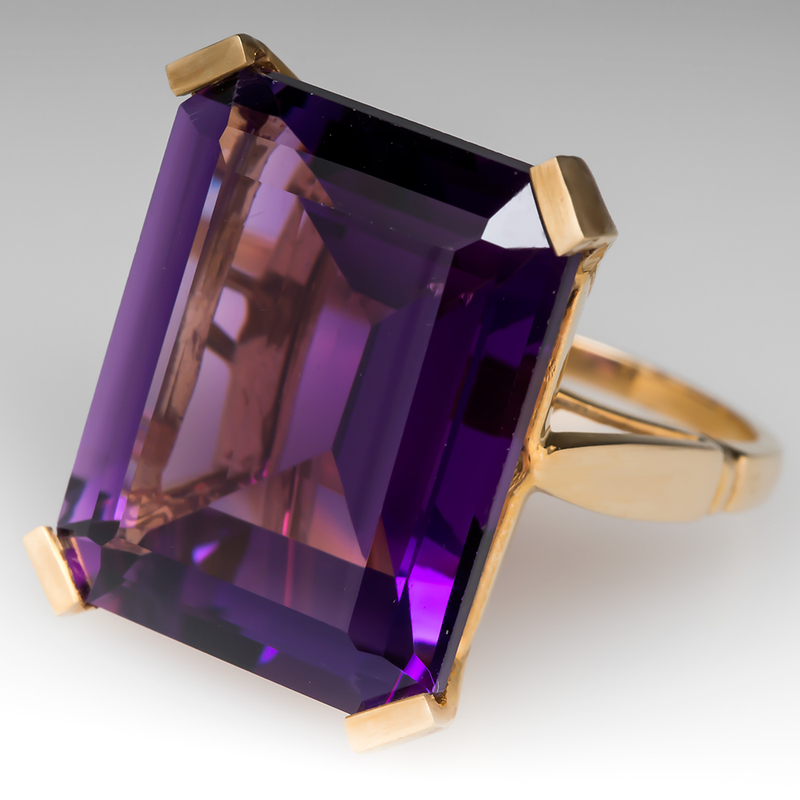 However, if it drips slowly into layers, amethyst will grow hexagonally from its base, forming the crystal stalactites jewelers and collectors covet. 1. Oldershaw, Cally. Firefly Guide to Gems (Canada: Firefly Books Ltd, 2003), 154-155. 2. The Quartz Page. "Amethyst." Last modified November 13, 2011. http://www.quartzpage.de/amethyst.html. 3. Aldrich, Kate. "How Are Amethyst Geodes Formed?" eHow. 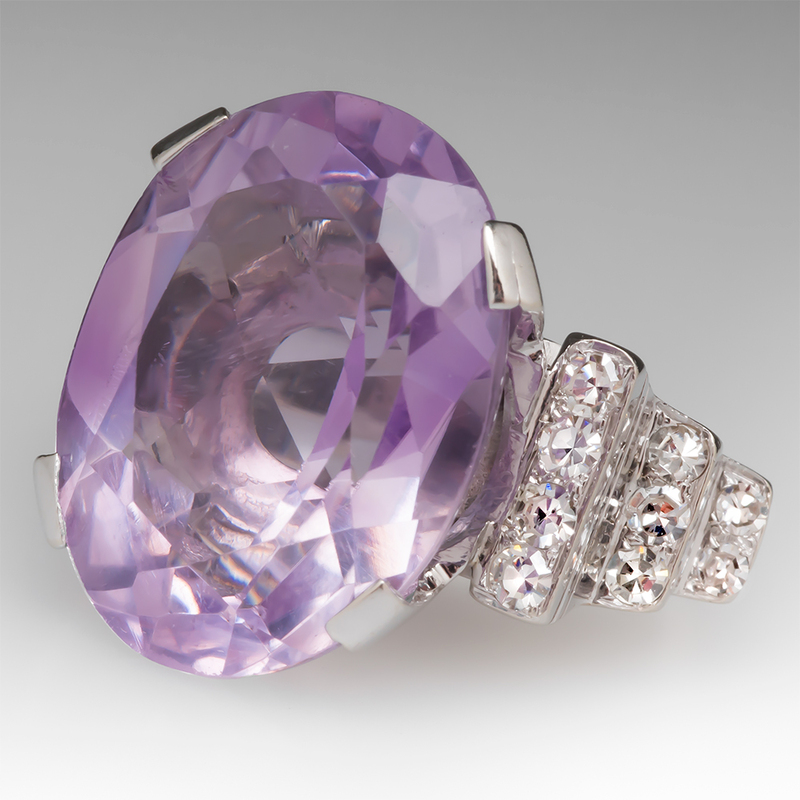 Accessed May 15, 2012. http://www.ehow.com/how-does_4913351_how-amethyst-geodes-formed.html. 4. Martin, Patricia Jean. 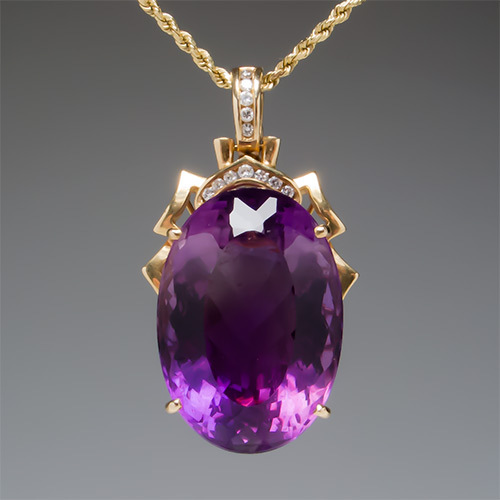 "The magic of Rocks and Stones: Amethyst." Controverscial. Accessed May 15, 2012.